Can't read file header ! Unknown file format or file not found. However, those Chinese comics .jpg files open without any error in the Microsoft Photos App. In Win10 OS, click the "Search Windows" icon and search for "language". Click the "Language Control Panel" (or Control Panel\All Control Panel Items\Language). Click the "Change date, time, or number formats" > Administrative > "Language for non-Unicode programs". Click the "Change system locale..." button and select "Chinese (Simplified, China)". 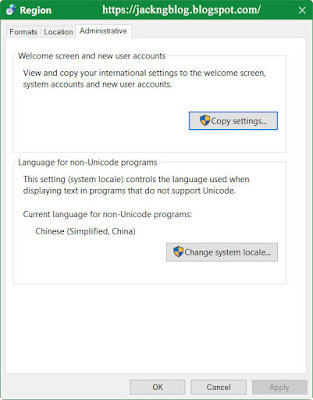 This will change the "Current language for non-Unicode programs:" to "Chinese (Simplified, China)". Restart the pc for the change to take effect.